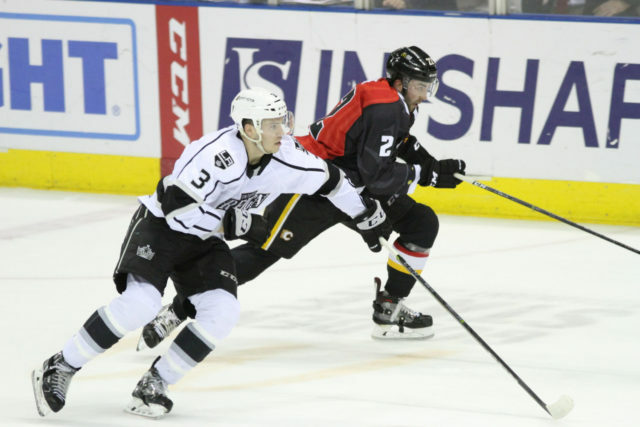 The Ontario Reign overturned a trio of one-goal deficits to force overtime and earn a point, but were unable to pick up the second in a 6-5 overtime defeat against the Stockton Heat on Saturday evening at Stockton Arena. Ontario faced deficits of 3-2, 4-3 and 5-4, coming back to tie the game each time. 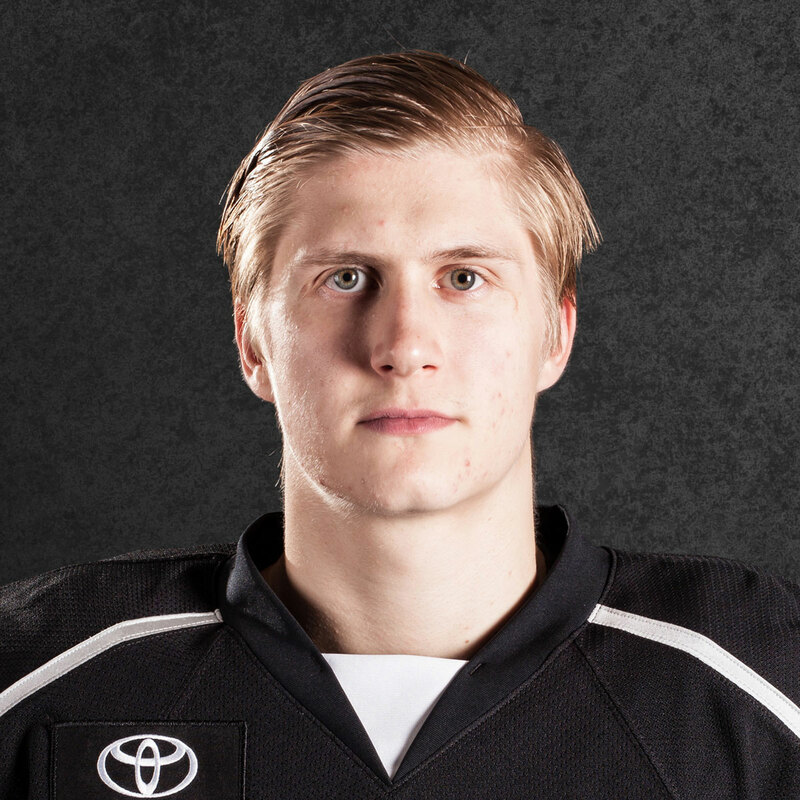 Despite playing in the second game of the back-to-back and the third game of a 3-in-4, the Reign certainly did not lack jump, piling 46 shots on the Stockton goal, the most they’ve had in a road game this season and two shots shy of their overall season high. 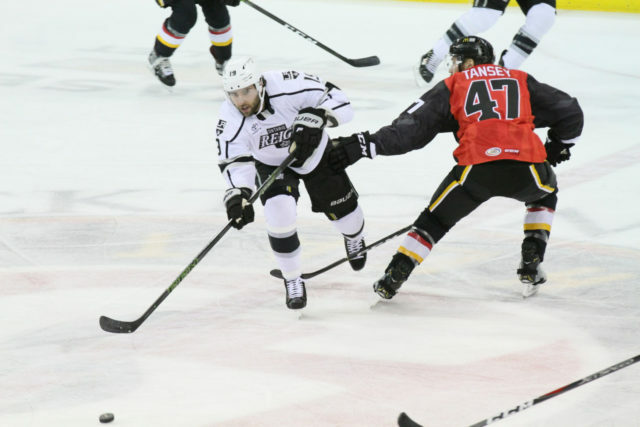 The Heat controlled much over overtime, however, trapping the Ontario trio of Sheldon Rempal, Zack Mitchell and Kale Clague on the ice through multiple line changes, before forward Curtis Lazar flew past the gassed Reign group and beat Budaj on the forehand for the game-winning goal, his 13th marker of the season. 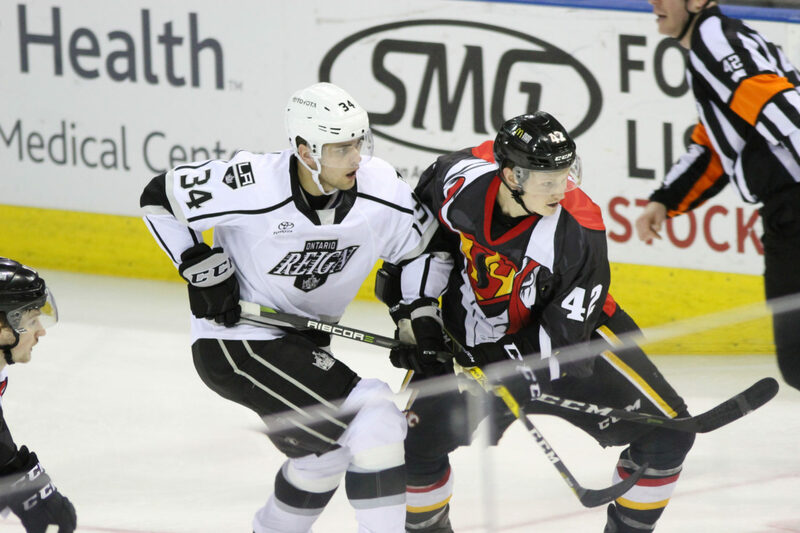 Back in October, we saw a 4-4 first period between the Reign and Heat at Stockton Arena and tonight we saw a 3-3 version. Ontario opened and closed the scoring, plus one in between, while the Heat struck twice on the power-play and scored two goals in an 18-second span in what was a wild first period. 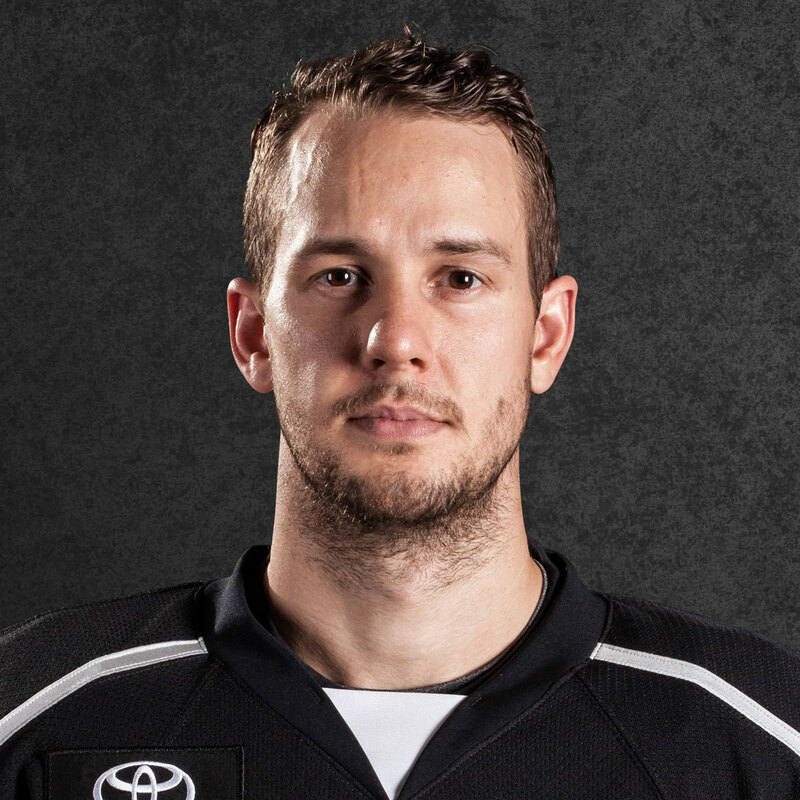 First, the Reign got on the board 8:34 into the game as Brad Morrison scored his eighth of the season, finishing a play at the back post. After Mitchell and Austin Strand had their efforts blocked in front, the puck fell to Morrison to the right of the net and he slotted the puck home for the game’s first goal. After forward Alan Quine scored a power-play goal for the Heat from the left-hand circle, Strand made it a multi-point night as he scored his second goal of the season. Stationed at the right point, Strand placed his shot through traffic in front and past Stockton netminder Tyler Parsons to put the visitors ahead 2-1. The Heat stormed back, however, scoring twice in less than 20 seconds for their first lead of the evening. First, with 2:55 left in the first, Kerby Rychel tied the game at two with a power-play goal, Stockton’s second man-advantage tally of the period. Forward Dylan Dube then struck quickly after, putting the Heat ahead at the 17:23 mark. As the first period wound down, Ontario created one last chance as Mikey Eyssimont flung a puck towards the front that redirected off of Sam Kurker’s skate and in, but the play was immediately waived off, with the official signaling no goal. 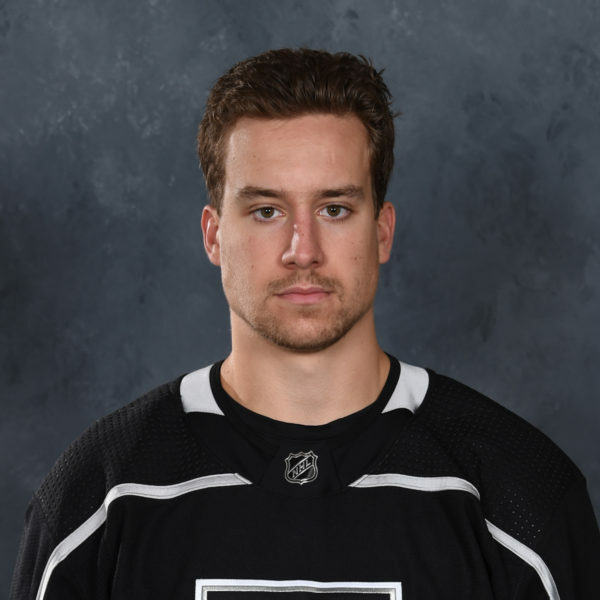 Upon further review, however, the ruling was correctly reversed to a good goal as there was no kicking motion from Kurker, simply a redirect, for his second goal of the season. 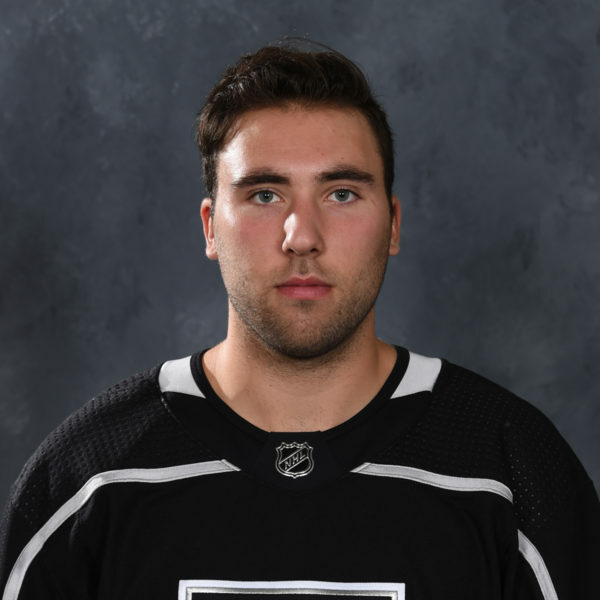 fter a Tyler Graovac tally 73 seconds into the second period, Ontario tied the game at four with the only additional goal in the middle stanza, coming from forward Matt Moulson. With both Parsons and a Heat defenseman without a stick, a point shot from Kurtis MacDermid appeared to hit Parsons’ stick in front and Moulson gathered the rebound, made a slick move to the backhand and scored his team-leading 12th goal of the season. Stockton re-took the lead 6:53 into the third period through a Kevin Tansey shot from the right point but the Reign came back again to tie the game at five, this through forward Sheldon Rempal. 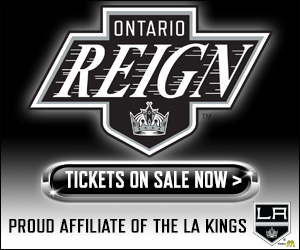 Just three seconds after a Reign power play expired, Rempal, positioned in the slot, redirected a Kale Clague shot over Parsons’ glove for his ninth tally of the season and second point of the game. The Heat went on to win the game through Lazar’s aforementioned goal to pick up the second point in the 3-on-3 session. Ontario will return home this evening and is next in action on Friday in Iowa, for the first of two games against the Wild. The guys showed great resolve to stay with it throughout another wacky game in Stockton. We had one like it earlier on the year. We got a valuable point and want to build off the fact that we got 3 out of 4 points in the last two games. Well, we put a lot of pucks towards the net because it appeared early in the game that their goalie was fighting to track the puck and contain rebounds. Think shot not pass. He has been working on less wind up, and quicker release with Bellzie and Modry after practice. It makes it tougher for the opposition to get in the shooting lane and front the shot. It’s also more accurate, and tends to keep the goalie a little deeper in the net. He has shown a flair for offence in Junior now we are seeing some real positive signs going forward in his first pro season. Hope to see him really start to take off?